Car seats are tricky to say the least! You must make sure you abide by the following legal regulations to keep your little bundle of joy safe. The stages for baby and toddler car seats are referred to as Group 0, Group 0+, and Group 1. These three groups are for children up to 10kg, 13kg, and 18kg, in order. Group 0, 0+ and 1 car seats can be installed using Isofix, or by using a car’s three-point seatbelt. Until your baby is at least nine months old, they are required to travel rear-facing, unless they exceed the car manufacturer’s weight limit for rear-facing travel. However, in 2013 a new system was introduced. This new system, called iSize, overwrote the Group 0 and 0+ car seat system and introduced a performance enhanced system for car seats for children from birth to approximately 4 years old. iSize has brilliant side impact protection, supports Isofix installation and allows children to be able to travel in a rear-facing position until they are at least 15 months old. Why does my child’s car seat have to be rear-facing? It is actually recommended that kids travel facing backwards for as long as possible. Children should travel in a rear-facing position until they’re 4 years old (this is due to children’s spine and neck muscles being safer in the event of an accident), but it’s especially crucial for babies. The reason why this is so important for babies is that their heads are really quite heavy in comparison to their bodies, and therefore they can’t stop themselves from being thrown forward upon impact of a crash. 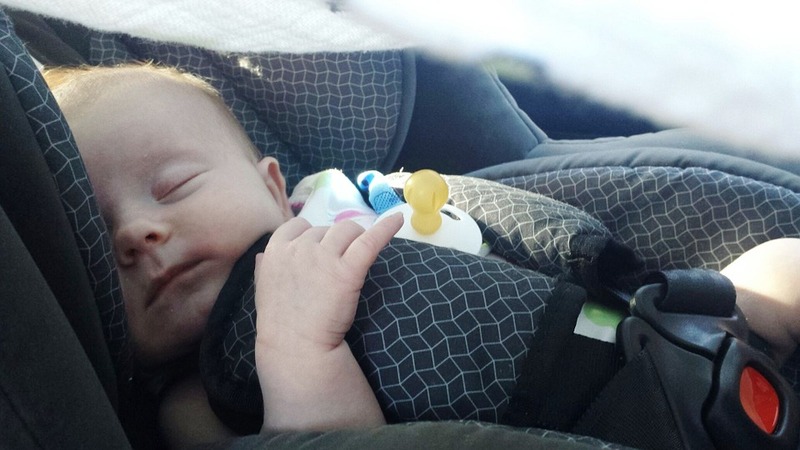 Baby and toddler car seats must always be in the back seats of a vehicle. Unless the airbag has been deactivated, it’s actually illegal for a child under 4 to travel rear-facing in a car seat in the front passenger seat. Make sure that every time you travel with your child you abide by these guidelines – obviously, their safety is the most important thing!